What are the best ways to prevent and manage asthma? Asthma affects millions of Americans every day and leads to a variety of uncomfortable symptoms. According to the AAFA, more than 26 million Americans have asthma which equates to 8.3 percent of all adults and children, respectively. 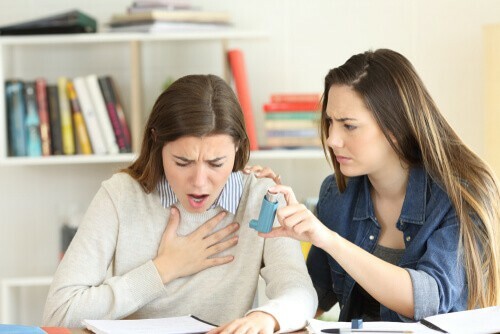 For the most part, most people with asthma have minor symptoms while a select few have chronic asthma and elevated risks for a potential asthma attack. So what are some of the best ways to prevent and manage your asthma? If you start to experience more frequent asthma symptoms, then make sure to visit a trusted medical provider ASAP! For example, asthmatic patients that struggle with symptoms and notice they are using their inhaler more frequently should see their primary care provider. A PCP can help redesign your asthma action plan, diagnose any additional asthma risk factors, and evaluate your current level of asthma. Clinical recommendations from a doctor’s office can help you take control of your symptoms and live your life with relatively-low symptoms. And as always, patients are encouraged to visit Instant Urgent Care locations across Santa Clara county for local and nearby urgent care services. Patients that have more questions about our services can check out any of our locations here, or walk into any of our clinics. We never require appointments so patients that need asthma treatment services in Sunnyvale, San Jose, Santa Clara, Berkeley, and Palo Alto can simply visit. Don’t let your asthma control you and come visit Instant Urgent Care for your asthma treatment!